This 4WD expedition caters to wide open space lovers as well as to those of immense scenery: the park of Sajama, a perfect mix of volcanoes, hot springs and geysers and populated by an abundant variety of local animal species, the sepultures of Río Lauca, the Salar de Coipasa and finally the Salar de Uyuni, the largest salt flat in the world. Take your cameras and let’s go ! 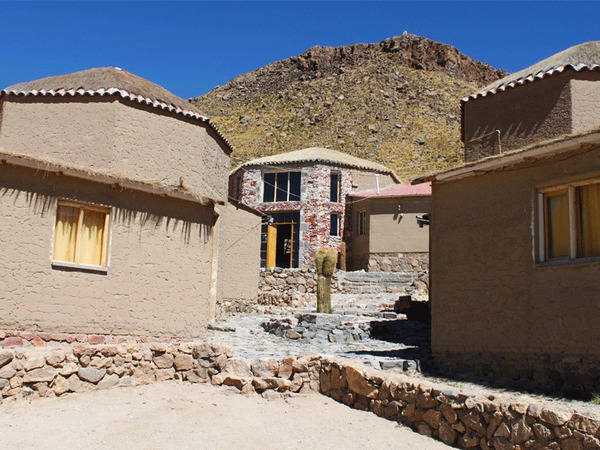 Departure from the hotel at 9 a.m. in a private vehicle for the beautiful crossing of the Altiplano until the entrance of the Sajama National Park (around 4 hours). 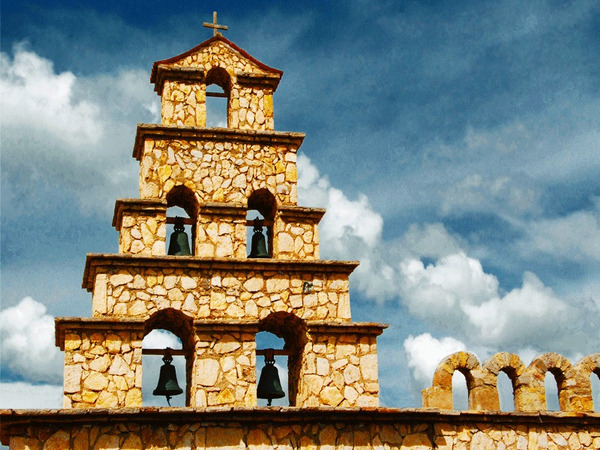 On the way, we will pass the village of Curahuara de Carangas, with its colonial church known as the Sixteen chapel of the Altiplano (because of its perfectly preserved intricate frescoes). 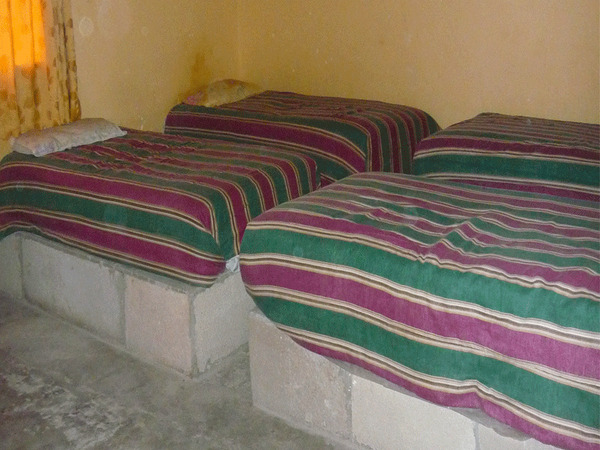 We will also stop at the Chullpas (carangas sepultures) now empty because of regular pillaging. We will enter the park by a dirt road leading to the village of Tomarapi. The wildlife is abundant and varied: alpacas, vicuñas and ñandus (a parent of the ostrich) if we are lucky, as well as some flamingos on the Laguna Huaña Khota which we will follow before arriving at the Hot Springs, at the foot of Sajama volcano. Lunch on the way. All included. In the morning, we head to the geysers in our 4WD. This particularly active area offers a unique show of bubbling baths spread over hundreds of square meters. 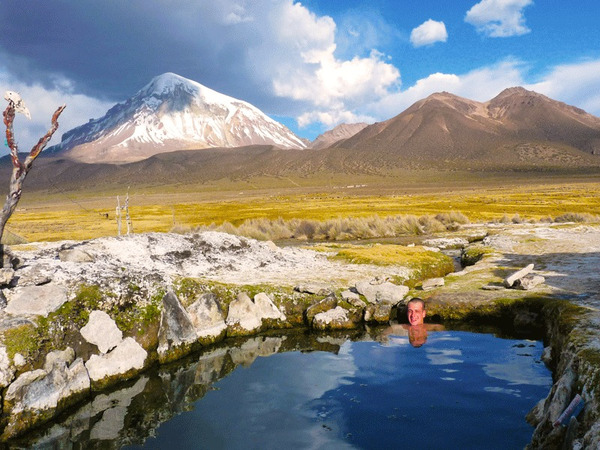 From there, we walk to the natural hot springs for a relaxing bath at the foot Sajama volcano, venerated by the local population (about a 2-hour walk). We head south through the country of "Urus", following sandy and treacherous dirt roads. 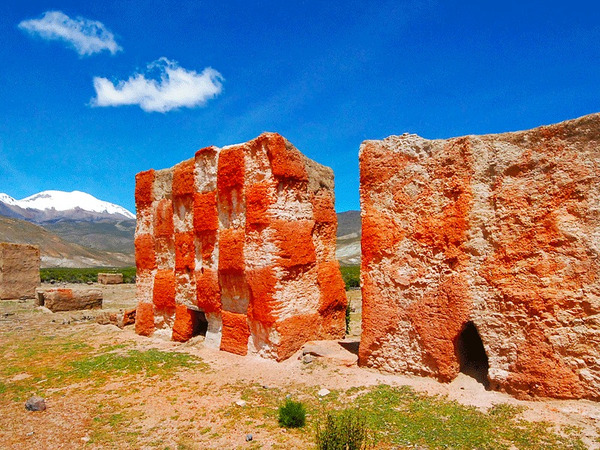 After crossing Lauca river, we will see some polychromatic chullpas, the most beautiful of Bolivia (chullpas were tombs of the Aymara lords; pre-Inca time). 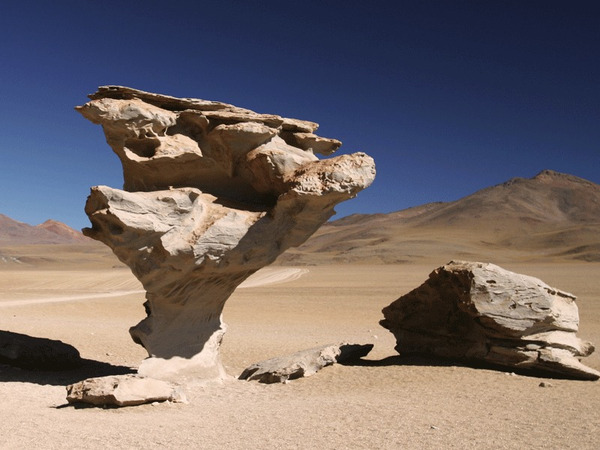 We will cross the Coipasa salt flat, in the heart of the wild Altiplano, surrounded by arid landscapes and volcanoes. We reach at the end of the day the village of Salinas where we will spend the night. Night at the Zucarani hotel**. In the morning, we take our vehicle once more to reach the base of Volcano Tunupa. The most courageous can climb to mirador (el. 4700 m.a.s.l. 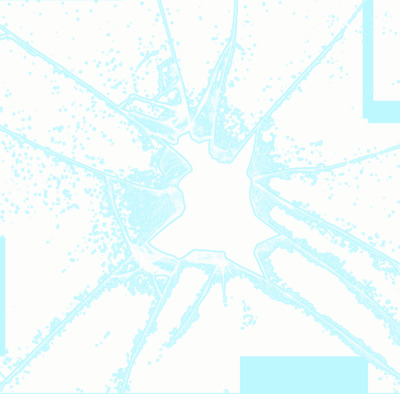 ), which can be reached in 3 to 4 hours. 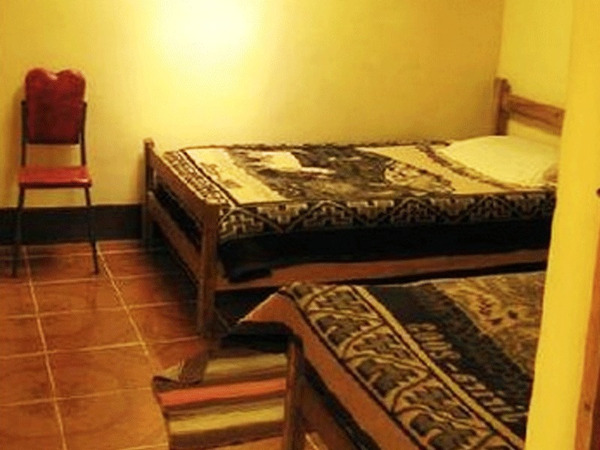 They will be greatly rewarded by the exceptional view it offers over Salar De Uyuni. 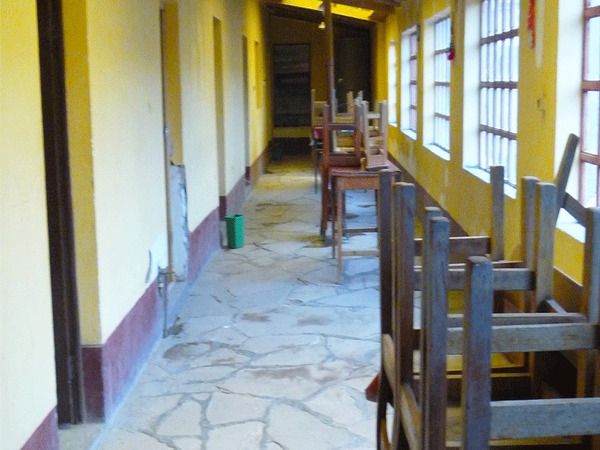 In the late afternoon we return to the village of Jirira, on the shores of the Salar. All included. 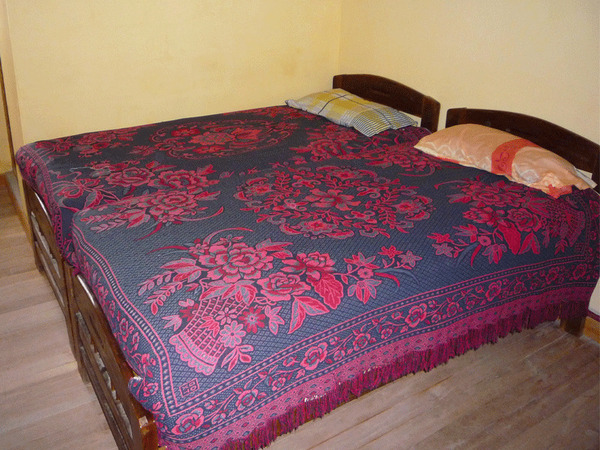 Night in shelter (basic comfort). 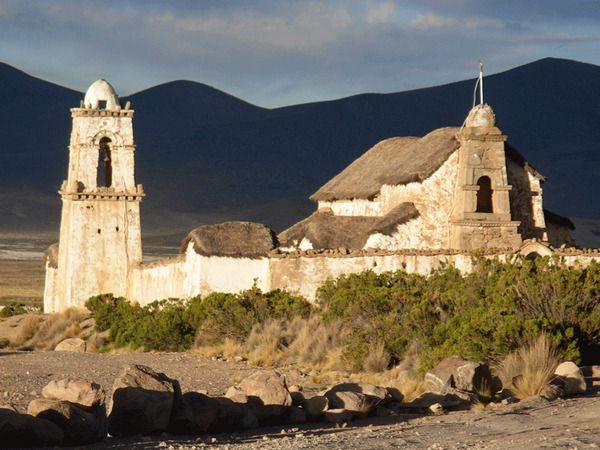 In the morning, we visit Coquesa, a little village on the shores of the saltflat, famous for its Chipayas mummies. 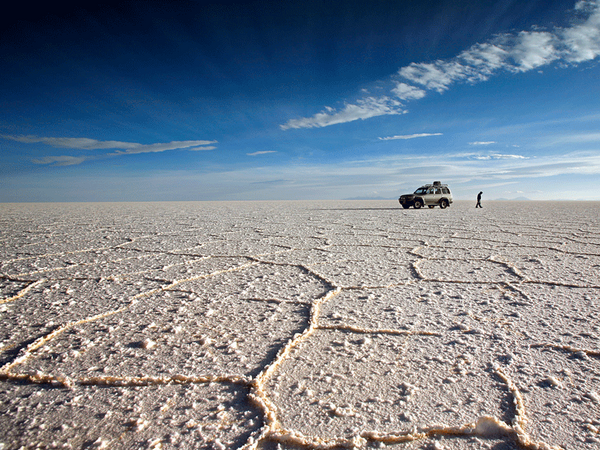 Then we enter the Salar of Uyuni (el. 3650 m.a.s.l), the biggest salt desert in the world. The sensation is unique: the eyes cannot find the horizon anymore and the immensity of the scenery invites us to silence. 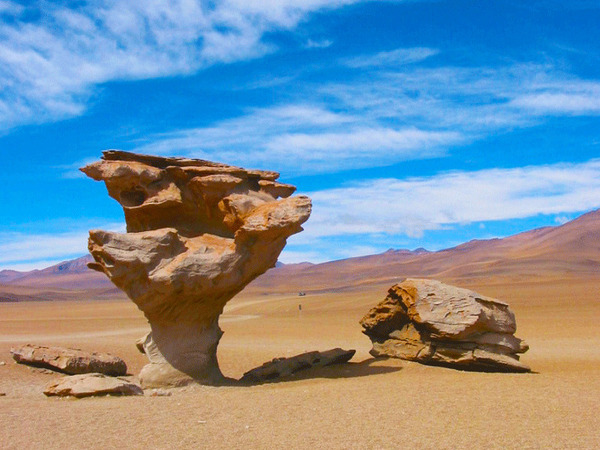 We stop in the heart of the saltflat, on Incahuasi Island. This island, of volcanic origin, is covered with stromatolites (fossilized bacteria representing the first traces of life on earth) and giant cactus. In the afternoon, we head south towards the village of San Juan (3/4h), were are located the famous mummies of the “Lipez Lords” (1200 A.J.C) as well as a small museum. We begin today our journey across the Sur Lipez area, elevated region of colorful landscapes and lagoons, rock formations and volcanoes. 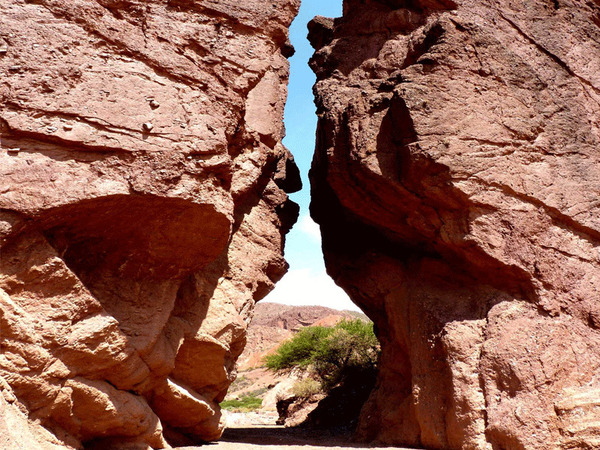 We will first cross the small Salar de Chiguana (el. 3650 m.a.s.l. ), at the feet of the Tomasamil volcano (el. 5900 m.a.s.l.) The track will then climb up to 4200 m.a.s.l. and we will stop at the view point of volcano Ollagüe (el. 5868 m.a.s.l.). This volcano is still active and shelters one of the world’s highest open pit copper mines. We will then drive south along the Chilean border on the scenic “Route of the Jewels”, which owes its name to all the lagoons along its way: Honda, Ch’arkota, Hedionda, Cañapa. These lagoons are home to three specific species of flamingoes. Our track then continues in the middle of the superb landscapes of the Siloli desert (el. 4700 m.a.s.l.) where we will discover the famous “Stone Tree”. 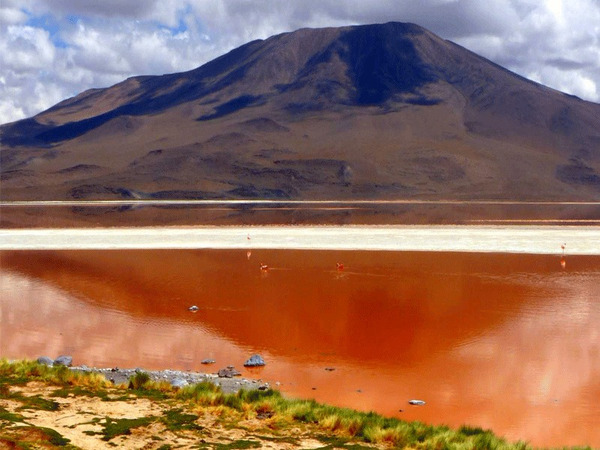 After a total ride of 230 km we will reach the Laguna Colorada (4278 m.a.s.l.) at the end of the afternoon. This immense lake of pinkish water owes its name to the presence in its waters of light sensitive phytoplankton, which also attracts thousands of flamingo part of the year. Our day will start at the geysers Sol de Mañana (el. 4850 m.a.s.l. ), a volcanic crater with sulphur springs and boiling mud. Next stop: the Polques thermal spring. You are almost 4200 m.a.s.l. ; but get ready to jump into hot water (86°F/30°C), surrounded by an amazing frozen landscape of volcanoes. We will then jump back into the jeeps and ride along the Laguna Salada and the Dali Desert. 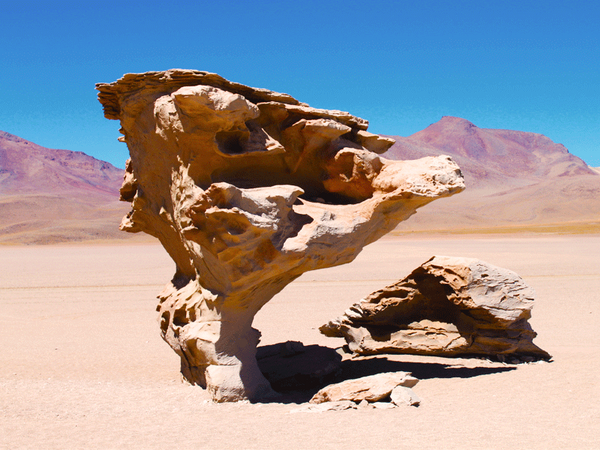 Here the strong wind has created surprising rock formations that remind the paintings of the Spanish master. Before lunch we will reach the Laguna Blanca and Laguna Verde (el. 4350 m.a.s.l. 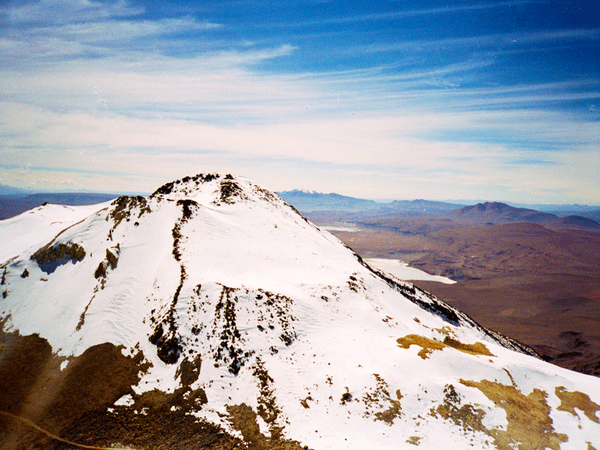 ), at the foot of volcanoes Juriques and Licancabur (el. 5704 and 5960 m.a.s.l.). After having driven around 100 km we are here at the very south of Bolivia, close to the border with Chile. From here we will drive 90 km back to the Laguna Colorada, and then 65 km north to the village of Villamar (el. 4022 m.a.s.l.) where we will spend the night. Our goal today: Uyuni, a 5 to 6 hours ride (257 km). Keep your eyes wide open this morning: we will cross the region of Rio Grande and the Valle de las Rocas (“Stone Valley”), home to numerous vicuñas (camelid) and ñandus (of the ostrich family). 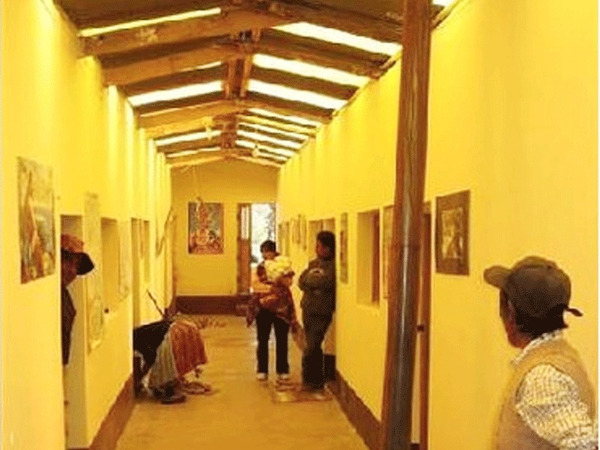 We will then stop in the village of San Cristobal, where we can visit a beautiful colonial church if we are lucky (it is not always open); and in the model urbanization of Culpina K. Here the population has decided to waive working in the mines and chose to live from the culture of quinoa and from community based tourism. Before we go to our hotel in Uyuni (3650 m.a.s.l. ), we will visit the train cemetery on the outskirts of the town. Here a collection of old rusted train engines remind the glorious mining past of the region. 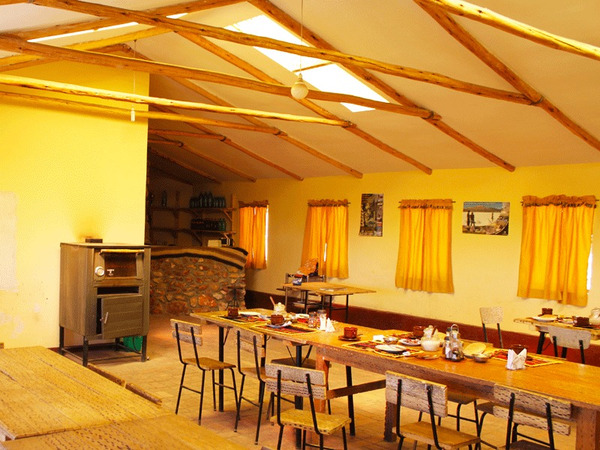 The ecolodge Zucarani is by far the best option in Salinas. 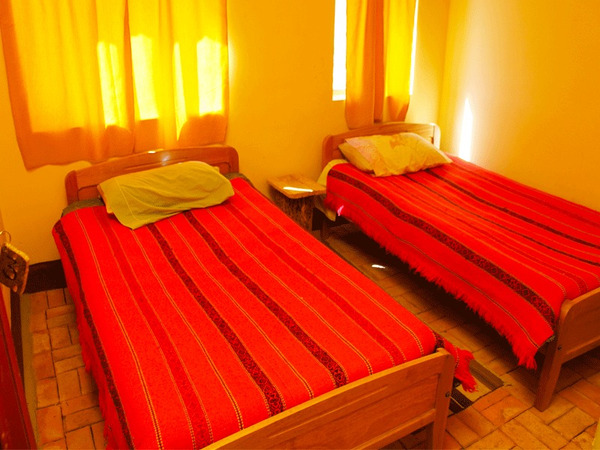 The hotel offers private and shared rooms, hot showers and all the amenities needed to rest near the Salar de Uyuni.